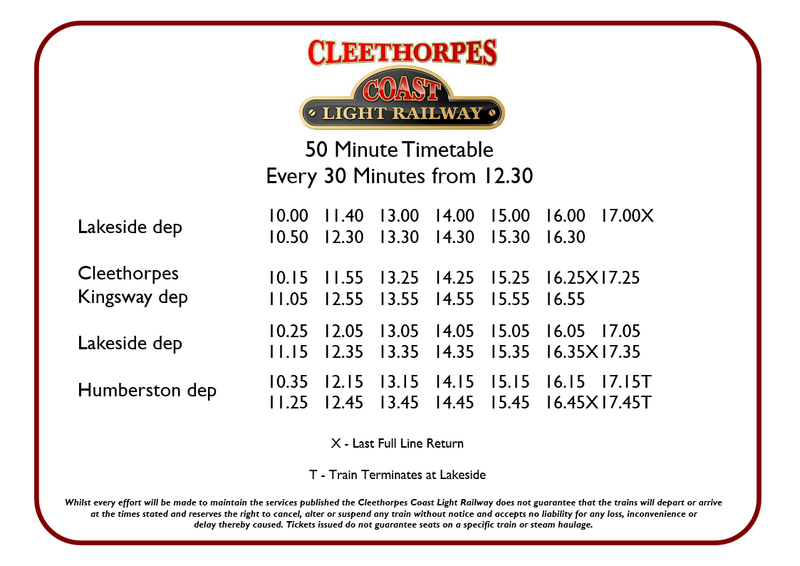 From the calendar below, please select the date that you intend to visit us and click on it. 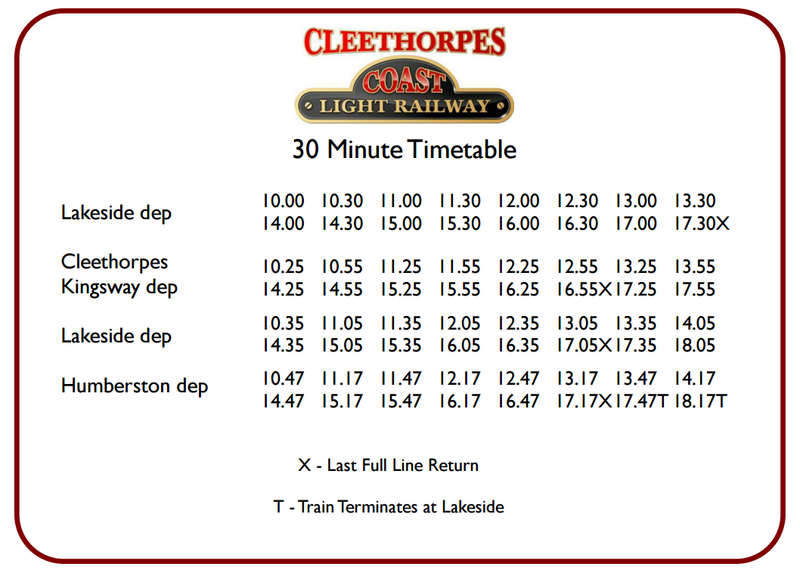 This will then show you the timetable that will be in operation on that day. The Signal Box Inn is open daily until the 27th October from 11.00am till late. 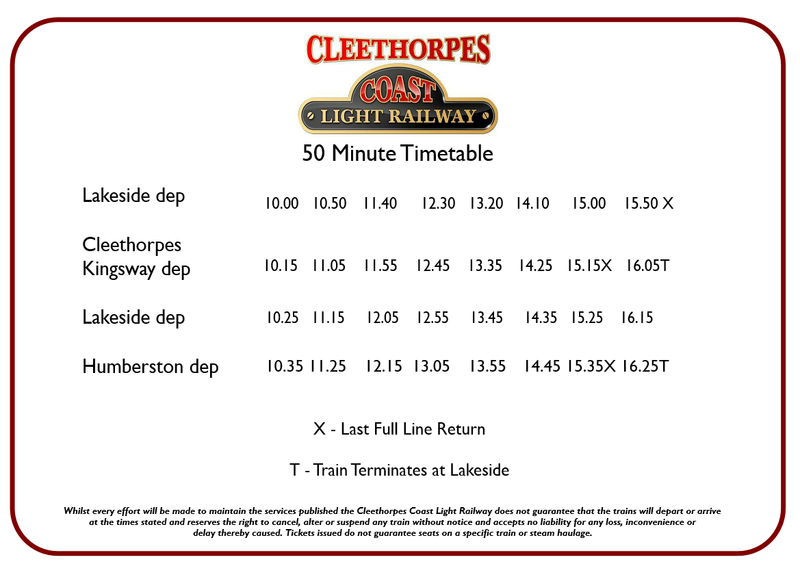 We accept payment by cash, debit or credit card at both Lakeside & Cleethorpes Kingsway Stations. 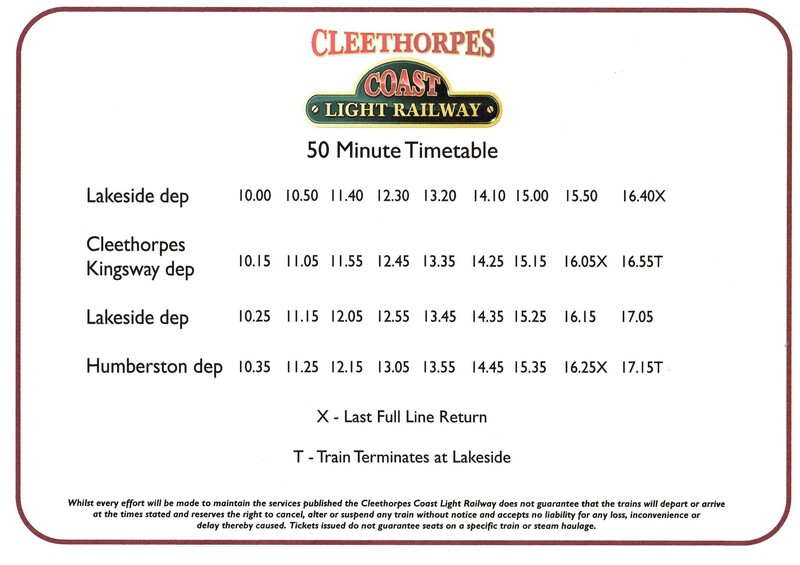 Whilst every effort will be made to maintain the services published the Cleethorpes Coast Light Railway does not guarantee that the trains will depart or arrive at the times stated and reserves the right to cancel, alter or suspend any train without notice and accepts no liability for any loss, inconvenience or delay thereby caused. 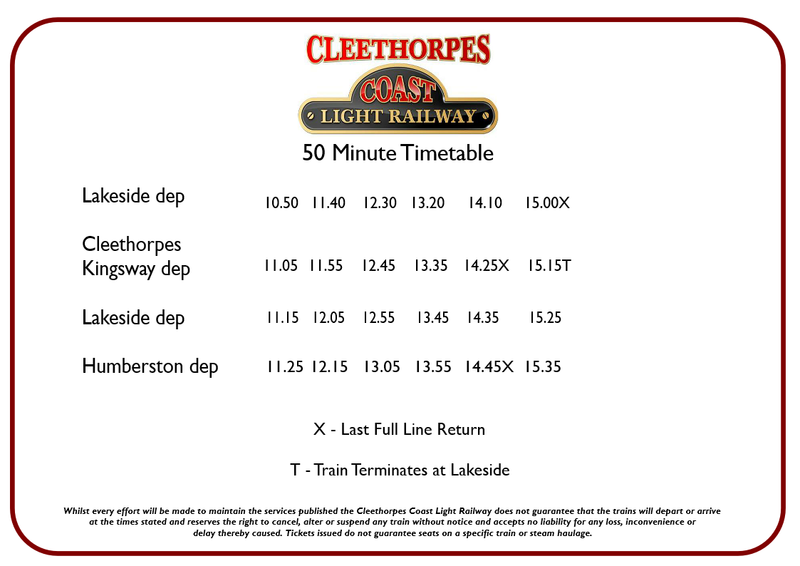 Tickets issued do not guarantee seats on a specific train or steam haulage.